OVER 30 NEW 2011 SAABS MUST BE LIQUIDATED IMMEDIATELY. Uftring Saab will accept ALL REASONABLE OFFERS - All Must Go! Due to circumstances beyond our control, Saab has filed for bankruptcy. As a result, Uftring Saab must immediately liquidate all remaining new Saab inventory. 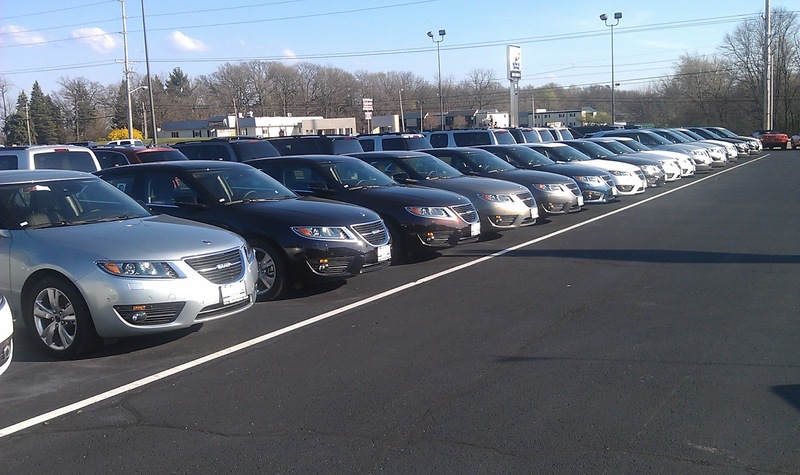 As of today, Uftring Saab is offering every new Saab in Stock for 25% OFF MSRP. Please schedule an appointment with an Uftring Saab representative for complete details - including warranty information. As a longtime Saab dealer in the Peoria, Illinois area, we regretfully report that Saab has filed for bankruptcy. The team members of Uftring Saab would like to personally thank each and every Saab customer for your business and friendship. We had hoped that Saab would bounce back and continuing producing beautiful, safe automobiles. After many years as a Saab Dealer in Illinois, we have developed relationships with a large number of Saab enthusiasts in Central Illinois and the midwest. But with this news in mind, we are committed to keeping our many customers up-to-date with relevant information as we receive it. We will provide additional details as they develop.